HotSpotr™ fan assisted floor tiles eliminate hot spots caused by today’s High Density loads. HotSpotr mechanically delivers more air (up to 1200 cfm) to the face of your hottest racks. 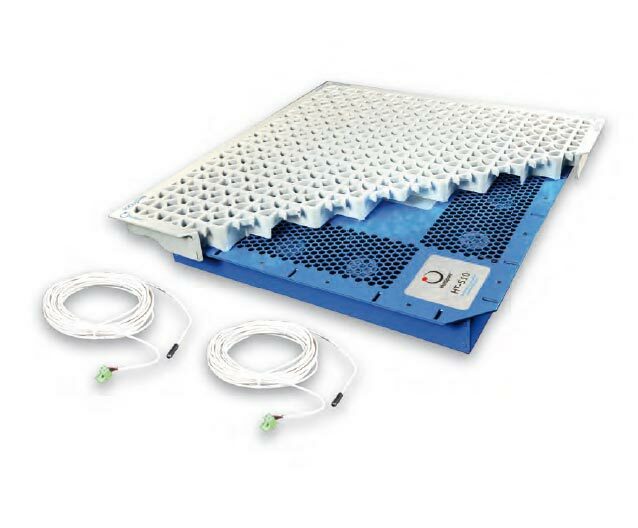 Most Data Centers cool their entire room to the hottest racks, so when you eliminate the hot spots, you can reduce your overall cooling requirement, raise supply air temperatures and return set-points, improve efficiency, and dramatically lower cooling costs. The HotSpotr HT-710 is engineered to balance heat load dynamically; regardless of which CRACs are running or how IT heat load changes. Cooling redundancy is addressed by moving heat loads from failed CRAC units to running units – dynamically. 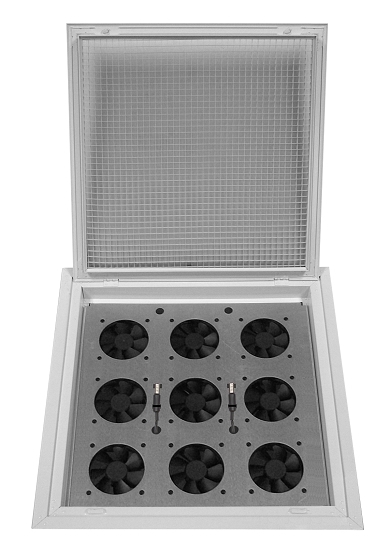 Much more than a simple duct fan, the HotSpotr™ HT-710 overhead air removal unit is specifically designed for data center cooling applications, its perfectly balanced, high pressure, high volume fan and light weight aluminum construction allows for easy installation, long duct runs and flexible power options. 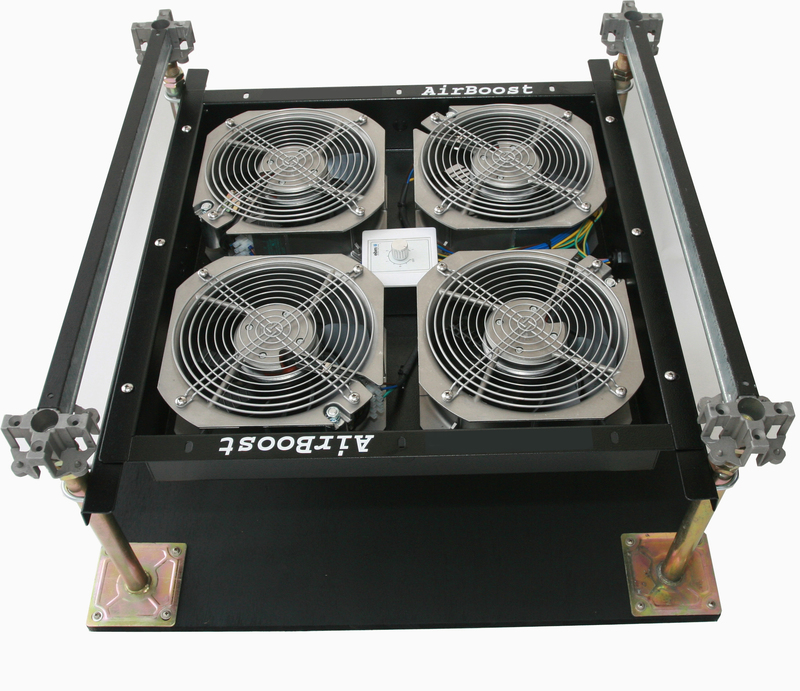 The AirBoost under-floor fan system offers direct cooling to those hard to cool areas where clusters of high-density servers have created hotspots. It can also provide additional airflow in areas where there is low underfloor pressure. The AirBoost is available in two models. The manual controlled unit allows. The Ceiling Grid Vent System is designed to aggressively vent air from equipment rooms or closets. The unit easily installs in a standard 2′ x 2′ ceiling grid and uses nine professional-grade 120mm DC fans to aggressively, but quietly, vent up to an impressive 575 CFM of air. The fans are automated by using two independent temperature controllers with the first turning on one bank of fans at 80F and the second controller turning the remaining fans on at 88F. This means that the fans only run when necessary which saves energy and increases the life of the system.